The chilli pepper oil from the Ursini oil mill is a mix of extra virgin olive oil and hot chilli peppers. It's a condiment that livens and flavours a dish whilst also being stimulating and aiding the digestive system. 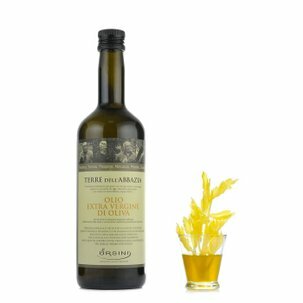 The Ursini agricultural producer from Fossacesia in the Abruzzo region is noted for its oil mill and its locally produced oil products. Most well known are its citrus, spice and mashed herb oils. Ingredients Extra virgin olive oil 95%, chilly pepper. For more information on product labels, please contact our Customer Service department. The information on the labels of the products may vary for reasons beyond our control, therefore, there may be discrepancies between the information on the site and that on the products delivered. Please always check the information on the product before consumption or use. 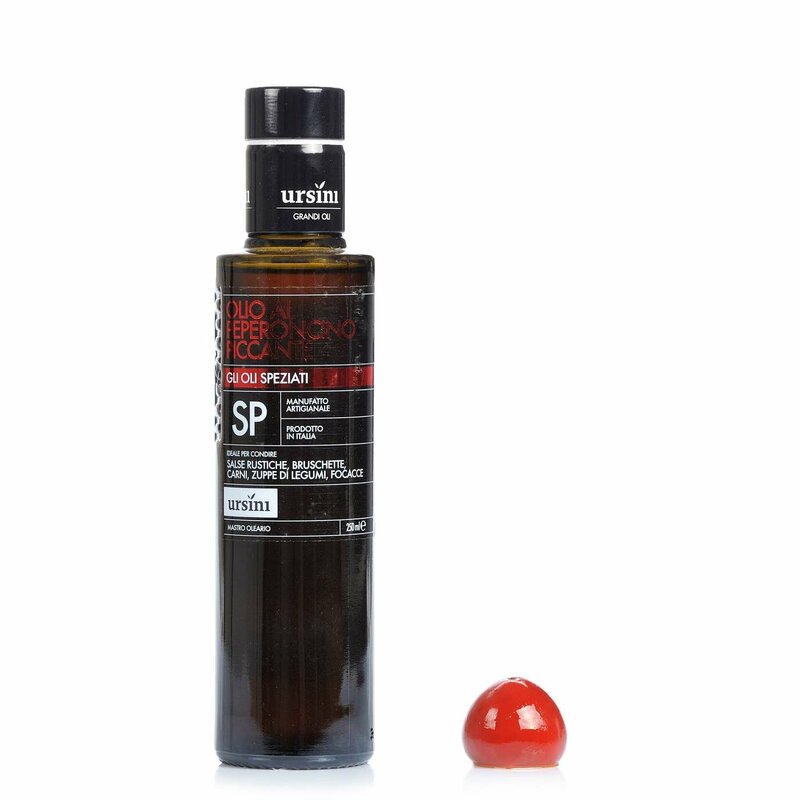 The chilli pepper oil from the Ursini oil mill is a mix of extra virgin olive oil and hot chilli peppers. It's a condiment that livens and flavours a dish whilst also being stimulating and aiding the digestive system. 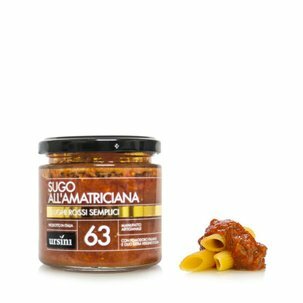 The Ursini agricultural producer from Fossacesia in the Abruzzo region is noted for its oil mill and its locally produced oil products. Most well known are its citrus, spicy and mashed herb oils.